DEC 30, 12 .. PERFECTIONISM .. AND A 'MEETING' ..
Let’s start with the word assume .. I ASSUME that some of you ( or maybe many of you? ) know that I am active in a twelve-step program of recovery. Those of you who do not know what I am talking about, may want to just stop reading here because what I plan to write will make NO SENSE to you. You will also notice that my web site .. titled my Doxology .. is in praise of my creator .. The God of Abraham, to whom I rhetorically ask, “How do things like this happen Oh God of Abraham?” OK .. last Friday, December the 21st, I did a post about THE THREE P’s -- Perfectionism .. Procrastination .. Paralysis. Now let me tie-this-all-together for you who are interested in reading forward. Sunday Morning .. December 30th, 2012 .. I am EXPLODING WITH ENERGY! Last night I slept a full eight (8) hours, unusual for me since I seldom sleep this long at night. I was up before 7AM and .. let me tell you all .. I was ‘wired up’ and exploding with energy. As I was doing my morning process, I kept thinking quietly to myself .. “I think that I will go to my favorite 8:30AM Sunday Morning men’s meeting.” And so I did. The meeting is based upon the book .. ‘As Bills Sees It’. We do not randomly 'pick-a-page' to read in the book .. each week we progress through the book one-page-at-a-time in sequential order. Not having been to the meeting for some time .. I did not have a clue as to which page we would be reading this morning. At this point in my recovery process, I usually say little at meetings UNLESS I feel that maybe I can contribute something positive to the meeting. I am quite comfortable and happy to just sit quietly and relax and let other newer members share. Also at this particular meeting, many members want to share and it is usually a matter of having to ‘break in’ immediately after a member finishes his share since someone else will be ‘poised’ to begin their share.. and I do not like having to ‘compete’ to ‘get time to share’. Finally .. seldom to NEVER do I actually lead the meeting. 8:30AM the meeting began on-time. One member ‘chairs’ the meeting. After all of the meeting preliminaries were completed .. The Serenity Prayer .. The Preamble .. How It Works .. announcements .. the usual meeting format .. this morning the ‘chairman’ then stated thusly: “Today we are on page 167 of ‘As Bill Sees It’. Who would like to read page 167 and share on the reading?” Keep-in-mind what I just posted here last Friday .. two days ago! The Three P’s .. As I casually glanced at today's reading on page 167 .. I was STUNNED! “On studying the Twelve Steps, many of us exclaimed, “What an order, I can’t go though with it.” Do not be discouraged. No one among us has been able to maintain anything like perfect adherence to these spiritual principles. We are not saints. The point is that we are willing to grow along spiritual lines. The principles that we have set down are guides to progress. We claim spiritual progress rather than spiritual perfection. Well this morning I did NOT have to ‘grab-the-lead’ .. none of the others seemed ‘moved to read and to share’ about the above reading .. so off I went .. revved up and energized! I can’t recall the last time that an hour-and-a-quarter meeting went by so quickly for me! Dare I say 'it'? For me at least .. a perfect meeting! OH GOD OF ABRAHAM MY CREATOR .. THANK YOU FOR THE MEETING THIS MORNING! FOR ME IT WAS A WHEW! Now I will be gratefully quiet for weeks to come! DEC 29, 12 .. WELL I THINK THAT MAYBE .. Sigh! I have to assume that IF you are reading and if you are following along here some (one only?) of you may and do care ..
Well .. I THINK THAT MAYBE .. but I am not close to being 100% positive .. that I AM GOING TO RETURN TO INDIA ! In the past I have had strong and extremely clear signals as to this decision .. my last trip was started by a STRONG FEELING OF .. DO IT NOW ! Father Abello in Calcutta .. Jesuit Priest that he is .. ALWAYS stresses the word and the concept of ‘discernment’ . So I sit trying to ‘discern’ whether the following story amounts to a ‘call to return to India’ ..
‘Zilla I think maybe .. after your incident earlier this year tripping over your suitcase leaving your hotel room .. you may relate ..
OK .. does this story amount to a ‘calling’ ? You decide. A special friend of a friend .. and I do not even know her name or her age but I am pretty sure she was not a ‘spring chicken’ .. returned home from someplace just within the past week-or-two .. parked her auto in her garage .. and tripped and fell ..
She was hurt so badly from this fall in her garage that due to pain and physical damage to her shoulder she could not get up and get into her home .. instead she gathered some stuff together to keep her warm and leaned up against her garage wall .. I can only imagine the mental situation she must have been in! Luckily within several hours .. someone came looking for her and found her .. got her to a local emergency room where she under went surgery. This poor lady .. who had just been coming home from somewhere .. you know .. just doing-her-life .. passed away. She died! As in dead! .. shortly thereafter! She acquired a ‘hospital based staph infection’ which she did-not-have prior to falling and going to the 'ER' and that-was-that! Her life-show ended! Gee ‘Zilla you-lucked-out! You at least are still alive-and-kicking! So how-on-earth is this story ‘a call to return to India’? It is NOT ‘Per Se’ a call to DO anything .. EXCEPT to ponder how thin the thread of life is that I am hanging onto at age 76 years .. by-the-way all living beings are hanging onto or suspended by their own individual thin-threads-of-life! As if my recent adventure with Benign Positional Vertigo last 12/12/12 was not enough of a 'wake-up-call'! Patti was out day-before-yesterday and now is recovering from an automobile accident that she was involved in! She was not hurt as severely as the lady in the above story was .. but she is stiff-sore-and-aching and did not want nor need the grief of having her car ‘totaled’! Luckily for Patti her-new-life-acquaintance has auto insurance (this alone is a blessing!) with the same automobile insurance company and that driver also was not injured to the point of requiring emergency room care. Considering all of the above .. I have formally reserved a room at the Kowloon YMCA in Hong Kong, China, arriving January 29th departing February 2nd. Now I will explore ‘getting-there’ .. making the requisite airline reservations etc but the proverbial ball-is-rolling! Was it Admiral Halsey who said .. "Damn the torpedoes!" Last night the Detroit Pistons professional basketball team beat the defending Champion Miami Heat 109 – 99 out at the Palace of Auburn Hills, Michigan, and I was there in attendance with a friend of many years rooting like crazy! I can and I am just-doing-it! Just doing-life! Patti will get another auto that is easier for her to get into and get out of! Trucker Tom 48067 and I are going to have breakfast uptown at Niki’s Restaurant in about-an-hour! The final weekend of the NFL season is tomorrow with some great games to watch .. and the PLAYOFFS begin week after this! IF something negative does happen to me .. I pray that I will take-it-with-a-smile KNOWING HOW RICHLY I HAVE BEEN BLESSED IN THIS LIFETIME! For now .. over-and-out from Bobba Caps and ALL of the Bobbsey! Patti and I really enjoyed our time spent in the GREAT ‘LONE STAR’ STATE OF TEXAS! Texas .. like life itself .. is a State Of Mind. Good judgment comes from experience and a lot of that comes from bad judgment! If you find yourself in a hole .. the first thing to do is to stop diggin’! Never miss a good chance to shut up! Lettin’ the cat outta the bag is a whole lot easier ‘n puttin’ it back in! Don’t squat when you’re wearing your spurs! If you’re riding ahead of the herd .. now and then take a look back to be sure it is still there! Always drink up stream of the herd! Never kick a cow chip on a hot day! Never slap a man who’s chewin’ tobacco! There’s two theories to arguin’ with a woman .. neither one works! This morning I sent-out-a-feeler e-mail to the YMCA in Hong Kong, China, and asked them if there were any dorm beds open in mid-January. The ‘itch’ to return to Hong Kong and then to India is sure there .. BUT .. the ‘calling’ I always await has NOT come to me. Meanwhile back up North in Anchorage .. Patti (well I think) is busy scurrying around to get the legal estate matters finished ASAP so she can possibly get back down here to join me in Michigan before I ‘head on out’ somewhere. Another scenario is for Patti to hitch-up with me as I roll through San Francisco heading West for Asia. That is IF I go. So stayed tuned ‘yawl’ ! /s/ Cap and the Travelin’ Bobbseys Here With Me ‘itching to travel more’. The hard-core India-Bobbseys are waiting for us IN India in Agra Cantt with Jeevan Lal. DEC 21, 12 .. PERFECTIONISM LEADS TO PROCRASTINATION WHICH LEADS TO PARALYSIS ! Oh Yes .. those life crippling .. THREE P’s ! PERFECTIONISM .. trying to be PERFECT .. LEADS TO ..
PROCRASTINATION .. I can’t do this perfect so I will ’put-off-even-starting-to-do-this’ ..
PROCRASTINATION .. leads straight to .. ‘Zilla ‘Do NOT Pass Go’ .. PARALYSIS .. a 100% total lock-down .. stop-before-you-even-begin negative state-of-mind ! And I am one of them .. sad to say .. I'm a perfectionist .. But I have learned how-to-deal-with this crippling affliction of perfectionism .. because I have found and I use several very important tools to deal with it! Perhaps my greatest single tool is the below wisdom. I hope you study it! I AM ONLY ONE .. BUT STILL .. I AM ONE! I CANNOT DO EVERYTHING .. BUT STILL ..
AND BECAUSE I CANNOT DO EVERYTHING .. I WILL NOT REFUSE TO DO THE SOMETHING I CAN DO! MAY GOD BLESS YOU MY CENTURIES DEAD ‘MENTOR’ ..
MISTER EDWARD EVERETT HALE ..
I’m sitting in my kitchen here in Royal Oak, Michigan, ‘whapped out’ from the trip .. so exhausted that it took two hours to ‘get some breakfast together’ .. and ..
“But Gullible!” .. “Don’t BUT ME Captain .. you heard me!” .. “Sit on it! /s/ Gullible!" Gee I hang up the phone and ‘Tom Tiger 48067’ telephones me ‘in my head’ .. “Cap .. how on earth can you pride yourself on driving six hours without getting out of your driver’s seat! CAP GIVE ME A BREAK .. I am a professional trucker .. I drove for many years .. after six hours behind the wheel I would yawn and say six hours more to go before I take a break and in the first six hours I would have driven AT LEAST 420 miles .. not your piddling 319 miles! .. and further Cap .. I would have cut at least one full hour off your time! A professional trucker would have exited Michigan Highway 14 off I-94 and cut through Ann Arbor to I-275 and run North to I-696 and been in your home by a minimum of an hour earlier than you were and I would’ve avoided the mess you ran into passing through Ann Arbor! Heck .. I may’ve saved an hour-and-a-half Cap!" Man Tom Tiger 48067 you are now Tom TRUCKER 48067! No matter where we called Tom from .. he would KNOW THAT specific road! AMAZING TOM .. ABSOLUTELY POSITIVELY AMAZING MY MAN!! YOU ARE A PROFESSIONAL DRIVER! “What’s that you ask ‘Zilla?” .. “The point ‘Zilla?” ..
HERE’S THE POINT I AM MAKING! ..
ALL OF US HAVE THESE DRATTED-PERSISTANT-NAGGING-NEGATIVE-COMMITTEES INSIDE OF OUR HEADS .. AND IF I CAN SHUT-MY-COMMITTEES-UP AND MOVE FORWARD .. IT IS A SPIRITUAL TRUTH OF THE UNIVERSE THAT YOU CAN TOO! “What’s that Julia Cameron?” .. “Oh YES .. it is the writing itself that calls ideas forth .. so just-begin-to-write and the ideas will flow!” Again THANKS BRAD 49855 for the gift of Julia Cameron and “The Right to Write” .. This is what I started out to write .. a brief trip synopsis .. are you with me here ROBERT 94596? We left Sunday, November the 18th .. and both of us .. Patti to Anchorage and myself to Royal Oak .. returned to our ‘homes’ on Thursday, December the 20th. So our total trip was thirty three (33) days. We drove through MI, OH, KY, TN, AL, MS, LA, TX, LA, MS, AL, TN, KY, IN, IL (Patti left in Chicago, IL) and I drove back myself from IL into MI. Some 11 states. We drove 4,597.7 miles total. 139.3 miles driving per day on average. Gasoline cost from a high of $3.40 per gallon in Chicago all the way down to $2.95 per gallon in Alabama. We saw it priced (where everyone else was buying their gasoline!) as low as $2.85 per gallon. On the trip we spent $778.14 for gasoline (I have not yet filled up the tank since driving here from Chicago yesterday ROBERT 94596). We purchased a total of 254.635 gallons of gasoline. So our average cost per gallon was just under $3.06 ($3.056 to be exact). The miles driven in the above gasoline totals (from100% full in Toledo, OH back to 100% full in Chicago) were a total of 4,194 miles so we averaged 16.478 miles per gallon of gasoline over this distance. Our best was 18.246 miles per gallon in one stretch (298.2 miles) on the highway down to 17.638 (668 miles) and 17.412 (230.4 miles). NOT BAD FOR A BIG 1998 GMC SUBURBAN! Clement in France ‘Googled’ this so he could see what our Suburban ‘Black Beauty’ looks like! Robert 94596 where would I be if I hadn’t met you in October of 1965? Here’s where I’d be .. alone in my own mind .. ah but I have you and your mind along with me as a fellow companion with me and with my mind! “Yes ‘Zilla?” .. “Why so much detail ‘Zilla?” .. SIMPLY BECAUSE ‘Zilla .. I can ‘see-in-my-mind’s-eye’ some of my gentle and humble friends over in India enthusiastically following along with us on their maps of the USA! A trip few if any of them will ever have the opportunity to make. FEW OF THEM have been able to SEE AS MUCH OF THEIR OWN INDIA as I have been blessed to see. Lord how I miss being in India! Mohnish and Sharma and Ivan and Lawrence and Jeevan and Vikas and Raj and Shivam (in 110 055) and many many more of you .. I’m leaving out you in Calcutta and in Goa and in the South .. Pondy and Kodikanal .. do not bet against me surprising-you-all with an in-person visit much sooner than any of us expects .. starting with me! Trust .. me .. on .. this! I .. do .. know .. how .. to .. do .. world .. travel! Health and Buckaroos and Guts .. I have all three on my side! And in One-Short-New-York-Minute I can get going! To quote Eli Wallach in ‘The Good The Bad and The Ugly’ .. “IF you are going to shoot! SHOOT! Don’t Talk!” What a scene and what a line! BUT HEALTHWISE .. This dratted Benign Positional Vertigo has given-to-me a huge wake-up-call! All of our time-here is limited! So (with discernment Father Abello!) DO IT NOW IF you are ever going to do it! How could I NOT RETURN TO CALCUTTA!? This is ‘tearing-me-up’ I so long to return to India .. and SOON! “Yes Gullible?” .. “Call this a wrap you say Gullible?” .. “OK” .. Since I began writing back in December of 1990 .. I will be forever grateful to those of you who have chosen to follow-along-with-me! And to those of you who have joined me along-the-way-since!! With MUCH LOVE on this Holiday Season .. I sign off for now .. Cap .. So Patti my dear one .. call me when you've proofed this .. in the meantime the above is out-for-the-world-to-see-warts-and-all! DEC 14, 12 .. "YES MRS. LINCOLN?" Goodness I feel really great .. I have a great appetite and I am enjoying the Cajun music here in Lafayette, Louisiana, and the meetings are absolutely wonderful .. but I could do without this dizzy and this balance problem and feeling light-headed business ! Today .. in spite of taking my medicine .. things have regressed! I turned my head from one-side-to-the-other in bed and that small movement caused the room here to begin to ‘spin’ just a tad. And I had to get up to go to the necessary room to do something necessary and that was a bit-of-a-trip. To repeat .. my mood and my spirits and my appetite and everything else is just fine .. and we fully intend to have Patti on the jet plane heading North to Alaska next Thursday the 20th. And Patti and I plan to continue to enjoy ourselves as we have been doing! We hope to leave Lafayette tomorrow morning and head to the area South of New Orleans, Louisiana, and drive down that small road to Venice, Louisiana. Man alive was Prejean’s jumping tonight ! And we will call this a ‘wrap’ for today .. Smiles from Cap and (she is trying) from Patti! She is more concerned than I currently am about this Benign Positional Vertigo! DEC 12, 12 .. TODAY'S ROLLER COASTER RIDE .. MY OH MY ! Today is .. 12 / 12 / 12 ..
Today was a ROLLER COASTER RIDE ! FIRST .. Patti will NOT (see yesterday’s writing) be going back North to Alaska to attend to her situation regarding administration of the estate of her deceased friend. Patti is cancelling her trip North to Alaska BECAUSE I SPENT THE AFTERNOON IN THE E.R. here at the Lafayette, Louisiana, General Hospital / Medical Center and Patti wants to stay with me until ‘things subside’ here with me. Yesterday I took a late afternoon nap of several hours. I awoke .. I sat up .. and I promptly came close to fainting. So I immediately lay back down for about half-an-hour .. then ‘very very slowly’ I eased my way up into a sitting position on the edge of the bed. I felt slightly better but I still experienced a very ‘woozy’ and ‘disoriented’ feeling. This morning I felt the same .. ‘woozy’ and feeling ‘disoriented’. Then Patti and I went to a noon meeting .. I felt absolutely no change in my symptoms so following the meeting we checked into the Emergency Room here at the Lafayette General Hospital / Medical Center. After the ‘in processing’ paper work was completed .. they put an ‘I.V’ into my arm and they drew a blood specimen .. my blood pressure / temperature were taken .. I was hooked up to an ‘oxygen monitor’ .. I had a consultation with an ‘E.R.’ Doctor .. an ‘EKG’ of my heart was taken .. then a chest x-ray .. then a ‘Cat Scan’ of my head (an adventure) .. I was ‘hooked up’ to a heart monitor .. then a lying prone / sitting / standing series of three blood pressure readings were taken .. several staff members attended to me all-the-while. BOTTOM LINE .. GOOD NEWS .. no stroke symptoms and no heart attack symptoms .. I had / I am having an ‘attack of’ Benign Positional Vertigo’! Troublesome but not usually serious. Loss of balance .. dizziness .. feeling sick to one’s stomach .. throwing up .. blurred vision ..
HOME CARE .. lie down and rest and eat a balanced diet .. move slowly .. avoid falls .. no sudden body or head movements .. take prescribed medicine .. Meclizine 25mg (Antivert) .. 3 times a day .. be on guard for stroke symptoms and severe headaches developing .. I feel quite tired so will call-this-a-wrap .. we are staying over again here in Lafayette, Louisiana, so I will know things have stabilized with this vertigo. AS WE TWO HANG ONTO THE ROLLER COASTER SEATS ..
We send to you all our very best .. Cap and Patti ..
DEC 7, 12 .. SO LONG SAN ANTONIO .. HELLO LAFAYETTE LOUISIANA .. It is TOTALLY ENJOYABLE when the home team blows out an arch rival (both teams are based here in the State of Texas so are in-state rivals) BECAUSE the joyous mood within the Stadium affects all present in a positive manner! It especially affects the mood of the drivers leaving the venue. Getting to the game .. parking .. handicapped assistance .. EXITING THE STADIUM WAS THE BEST EVER IN MY LIFE FOR ANY MAJOR SPORTING EVENT .. I mean after the game we ‘flew out’ of the Stadium Parking Lot .. at the limit and onto exit roads with three lanes of traffic moving at-the-limit right to and onto Interstate 10 which was also flowing at-the-limit. NOW IT IS APPROACHING 12 o’clock midnight Friday, December 7th, and we will SOON BE ON-THE-ROAD for Lafayette, Louisiana, about 415 miles East 100% on I-10 which is literally out the door from our Motel 6 here in San Antonio. We will drive all night tag-team driving between Patti and myself. TOMORROW NIGHT IT WILL BE LIVE CAJUN MUSIC AT MULATE’S IN BREAUX BRIDGE, LOUISIANA ! We can hardly wait .. our names are at the top of their reservations-for-dinner book. 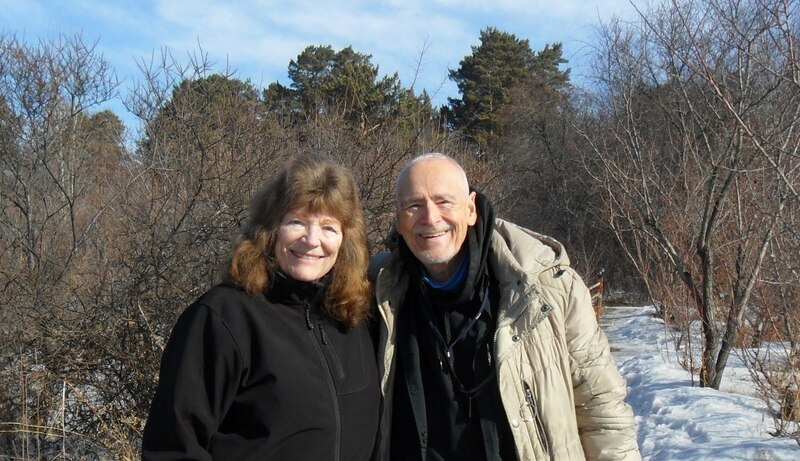 MUCH JOY FROM YOUR ROAD WARRIORS .. Patti and Cap ..
DEC 7, 12 .. WE .. ARE .. IN .. SAN .. ANTONIO .. TEXAS ! WHEN I AM ABLE 'TO OWN’ SOMETHING .. YOU TOO CAN DO THE SAME .. ‘OWN IT’ AND MOVE ON ! “What’s that ‘Zilla” .. “Read on and you WILL-GET-IT ‘Zilla” ..
From the heading you already KNOW Patti and I are now safely in San Antonio, Texas . Yesterday and the day before (and I STRESS that .. in my own self-defense .. the following suggestion was tentatively spoken and it was not delivered with anything approaching FIRMNESS) I told Patti that ‘maybe’ we should leave Dallas/Arlington/Fort Worth, Texas on Friday morning .. drive to San Antonio on Friday .. and .. still on Friday .. find and attend the NBA Professional Basketball game between the San Antonio Spurs and the Houston Rockets ..
Patti just sort of looked at me with a look of ‘I DON’T THINK SO’ and THAT WAS THAT .. END of THAT 'temporary madness' ! The drive South from the Dallas Metro Area to San Antonio (MapQuest and Yahoo Maps) is about 280+ miles and quoted as taking from four to five hours depending on the speed-at-which-you-drive. So I thought that we could leave Arlington, Texas, about 9AM or 10AM.. drive five hours .. get into San Antonio about 2PM or 3PM .. find the AT&T Center .. park and attend a 7:30PM game ..
We actually left Studio 6 in Arlington, Texas, about 12:45PM yesterday afternoon. FORGET my concept of leaving at 9AM or 10AM! To be sure I would not forget to mail them .. I had put a dozen post-cards to-be-mailed-in Arlington on the dashboard of our truck in-plain-sight right-in front-of-me .. the Post Office was at-the-most a five minute one mile drive away. So as we left our Studio 6 .. I DROVE AWAY WITHOUT MAILING THEM. This series of never ending Senior Moments completely and totally BUMMED ME OUT! Patti said “Let’s just find a Post Office and mail the postcards so you can ‘let-this-angst-go’”. THIS SENIOR MOMENT (NOT mailing the post cards at the Post Office ‘next door to us’) COST US AT LEAST ONE FULL HOUR. We finally found a Post Office in Mansfield, Texas, thanks 100% to an AT&T ‘High Tech Employee’ who pulled out his ‘Tablet’ and gave us precise directions in about 30-seconds in a gas station off Highway 360 South from Arlington. What a job it turned out to be finding the Mansfield, Texas, Post Office. But we did and I mailed the post cards. Then with Patti Driving (I was sleeping in-the-back) we got through Waco, Texas, and about 50 or-so-miles North of Austin, Texas .. It was about 5PM in the afternoon .. Patti pulled into a Texas Rest Stop to take-a-break and I ‘struck-up-a-conversation’ with a gentleman in the parking lot of the Rest Stop. It is not unusual for others to notice our Alaska License Plates and this gentleman did and came over to speak with me. DO TWO 'DING-A'LINGS' MAKE THEE A BELL? Patti and I together decided NOT to take his advice .. to save $15 and to ‘experience’ Austin, Texas, as we drove-through-in-the-dark-of-night. Well we ‘experienced’ Austin, Texas, on I-35 South in-the-dark during rush-hour traffic. It equaled the WORST RUSH-HOUR TRAFFIC I HAVE EVER EXPERIENCED! It equaled the WORST Los Angeles and the WORST New York City and the WORST Chicago and the WORST San Francisco rush-hour traffic of my life! And it cost us AT LEAST a full hour of time! It was lock-step .. stop totally .. wait .. move 10-feet .. stop totally .. sit .. sit some more .. move maybe 20-feet .. you get-it you who KNOW serious rush-hour grid-lock traffic .. but in tiny little 'ol Austin, Texas? We two finally rolled into Motel 6 here in San Antonio at 8:37PM .. the four to five hour drive took us close-to eight hours. AND WAS I EXTREMELY HAPPY THAT I HAD LISTENED TO PATTI AND WE DID NOT DO THIS DRIVE TODAY .. Friday, December 7, 2012 .. else Patti and I would have been ‘BOMBED’ on Pearl Harbor Day by the drive South from Dallas/Fort Worth and we would have either missed our game or arrived totally exhausted! Now we have all-day to find and park and enjoy the game. Then after the Spurs game we will rest up and head for Lafayette, Louisiana, early tomorrow morning (I am thinking about 3 o'clock A.M.) so we can LISTEN TO LIVE CAJUN MUSIC ON SATURDAY NIGHT AT MULETE’S IN LAFAYETTE, LOUISIANA. OWN your Senior Moments and ‘move on’ .. we seniors all have them .. OWN your faulty thinking .. we all have it and ‘move on’ .. IF I can do it .. it is a spiritual truth of the universe that anyone can do this! .. IF you really want to do so. Is it easy? OH NO but JUST DO IT! HOT-DIGGETY-DOG .. San Antonio Spurs vs Houston Rockets ‘heah’ we come! MUCH JOY FROM TWO PRETTY TIRED ROAD WARRIORS! .. Patti and Cap ..
DEC 5, 12 .. 'HEAH' IN THE SOUTH ..
To quote the famous 'Southern Sheriff'.. many 'here' down in the South do NOT say the word 'here' in a hard-crisp-precise 'Yankee' way .. down 'here' in the wonderful South the word 'here' comes out like 'hyaahhh .. "Boy .. whatcha doing 'heah' !" .. "Son down 'heah' we don't drive like that .. do you 'heah' me Son?" .. It seems that many Southern Sheriffs wear those 'mirror sunglasses' and the Southern Sheriff is a legend down 'heah'. Anyway, 'heah' is said in one very quick but pronounced syllable ..
'Lord-love-a-duck' .. it was a wonderful and a BIG PART OF MY LIFE .. back in the late 1960s and into the early 1970s to live down 'heah' in Georgia and in South Carolina earning my living 'building engines' in professional automobile racing ..
Down 'heah' in the South .. along with College Football .. big-time-professional automobile racing IS ENORMOUS .. it is BEYOND enormous .. here is a brief capsule to demonstrate how GIGANTIC it is ! My very first day working with a racing team in Spartanburg, South Carolina .. MY FIRST DAY MIND YOU .. I drove to the shop in the morning .. and I drove home for lunch .. and on-my-way back to the racing shop after lunch .. FOUR OR SO HOURS OF DRIVING IN TOWN .. the local Spartanburg Sheriff pulled me and my Ford Mustang .. with the CALIFORNIA LICENSE PLATES ON IT .. over to the side of the road. Today .. FORTY (40) years later .. I could go down to Spartanburg and show you within a few feet of precisely where I was 'pulled-over' ! Down 'heah' you fear and you'd better respect the Sheriff ! For all I know, a Sheriff 'heah' in Arlington / Forth Worth / Dallas Texas may just-be-reading-along-with-me 'heah'! So the Spartanburg Sheriff came up to me and said ..
"Son .. what are you doing down 'heah'?" .. I explained to the Sheriff why I was in town and specifically who I was working for and that I was on my way back-to-the-shop after going home to eat my lunch ..
THAT-WAS-THAT .. NEVER AGAIN .. NEVER NEVER NEVER AGAIN .. was I stopped or bothered by any local Spartanburg law enforcers ! OH YEAH .. RACING IS VERY BIG DOWN 'HEAH' ! Those of us who love sports .. call it .. 'Making the Bigs' .. and I was lucky enough to indeed do just that .. I 'Made The Bigs' in professional auto racing .. I think that very few of you reading along 'heah' were in my life back then .. of course my two sons were and Robert 94596 was .. so too was James 29322 and his family and 'Duck' 27317 .. not to mention former team members who may still alive these 40+ years later but who are NOT following nor aware of these ramblings ..
DEC 3, 12 .. THE DALLAS COWBOYS STADIUM .. AN ABSOLUTE MUST SEE ! IF YOU ARE A SPORTS FAN .. IF YOU ARE AN ‘NFL‘ FOOTBALL FAN .. ABSOLUTELY PUT ON YOUR : ‘BEFORE-I-KICK-THE-BUCKET‘ LIST I-MUST-DO-THIS .. I MUST ATTEND .. IN-PERSON .. AN ‘NFL‘ FOOTBALL GAME AT THE DALLAS COWBOYS FOOTBALL STADIUM .. IN ARLINGTON, TEXAS .. The Stadium overhead roof was open .. the gigantic doors at each end of the Stadium were also open .. a wonderful breeze wafted through the Stadium all evening long .. it was in a word .. mesmerizing ! ASSUMING THAT YOU HAVE A CHOICE .. and you may not have a choice because you may not be able to get tickets .. this is the rule and not the exception because many ‘NFL’ games are sold-out .. but if you do have the choice to attend-in-person a game or sit home and watch the game on television .. you have two separate and you have two distinct opinions / attitudes regarding this DO WE / DON’T WE debate. I must say that this pretty much applies to watching a FOOTBALL game. In basketball for instance .. because there are only ten players on the light-in-color-floor and not twenty two players on a dark-green-grass-surface .. and because a basketball is larger in size than a football .. and because a basketball game .. in general .. moves a little slower and is much less complex .. the sit-home or go-to-the-game decision is much less of a debate .. because being physically at a basketball game you can see the game VERY well .. So here is ‘my take’ on the debate .. Do you .. Stay At Home .. OR .. Do you .. Go To The Game In Person ..
1. Stay At Home : In the comfort and in the quiet of your home, to some large degree, YOU CAN SEE THE GAME MUCH BETTER ON TELEVISION THAN YOU CAN when you are physically in attendance AT-THE-GAME .. and it does not cost you an arm and a leg and several hundreds of dollars PLUS all of your necessary ‘facilities’ and creature comforts are at-arms-reach when you are comfortably at home ! Note that above I do qualify the at-home experience saying .. 'to some large degree' you can see the game better at home. It is a fact that at-the-game you get an 'overview' of the entire scene you do not and can not and will never get at home ! 2. Go To The Game In Person : There are many negative factors in going to the game in person .. you must face the traffic and the vehicle parking both going to and returning home from the game and you also have all of the cost(s) involved (tickets / parking / gasoline / food / your time ) and then you have the great inconvenience of public toilets and in some cases the weather could be poor and then you also have the general ‘hassle’ of being elbow-to-elbow with literally tens-of-thousands of sporting fans .. at Cowboys Stadium you are talking about 80,000 people .. some are intoxicated and some are a challenge to all that is civil and proper in society ..
Why on earth would you even want to go to the game ? BECAUSE THE ENERGY AND THE EXCITEMENT AND THE PRE-GAME AND GAME ‘GIDDYNESS’ IS ABSOLUTELY PHENOMENAL ! Sitting at home you absolutely CANNOT DUPLICATE the phenomenal giddy feelings and electric excitement and explosive energy you find at-the-game. Sitting in the quiet of your home in front of your television you are .. in a word .. quiet ! FOR ME THE AT-THE-GAME EXPERIENCE IS FUN AND AN ADVENTURE AND YES A CHALLENGE THAT I LOVE ! This being said I cannot justify for anyone else the cost(s) of going to a game. It does not exactly 'compute' in a positive number ! By-the-way, I did not mention that recently there have been horrific and terrible stories of fan- violence towards each other before and during and even after games. PLEASE PLEASE PLEASE NOTE: In Detroit .. In New Orleans .. In Dallas last night .. at each of these three venues there were a good number of uniformed and plain clothes security personnel. Over public address systems and on various video and television screens 'Rules of Acceptable Conduct' were repeated. In each venue spectators were advised to IMMEDIATELY call or IMMEDIATELY text security IF ANY PROBLEMS WHATSOEVER AROSE. And let me tell you all .. Patti and I had the feeling this was SERIOUS BUSINESS AND THAT NO NONSENSE WOULD BE TOLERATED P-E-R-I-O-D ! Back to Cowboys Stadium .. I CAN discuss the debate about the quality of SEEING THE GAME at home or watching the game at the Stadium ..
At the Dallas Cowboys Stadium YOU CAN PRETTY MUCH HAVE-IT-ALL .. BECAUSE OF THE INCREDIBLE AND BECAUSE OF THE PHENOMENAL ‘JUMBOTRON’ . The ‘JUMBOTRON’ .. is (this is an understatement !) a gigantic television set located directly above the football field .. the ‘JUMBOTRON’ is so large that it extends from one 20-yard-line to the other 20-yard-line and is properly proportioned to duplicate your television set at home. There are also two smaller ‘JUMBOTRONS’ facing each end zone .. SO BECAUSE OF THE ‘JUMBOTRON’ AT THE DALLAS COWBOYS STADIUM .. YOU CAN SIT COMFORTABLY INDOORS AND WATCH THE GAME ON TELEVISION AND AT THE SAME TIME EXPERIENCE ALL OF THE BENEFITS OF BEING AT-THE-GAME IN PERSON ! Of course you do NOT have to watch the 'JUMBOTRON' because you can also just watch the game as it unfolds on-the-field and NOT look up at the ‘JUMBOTRON’. At times the ‘NBC PEACOCK LOGO’ was visible on the ‘JUMBOTRON’ so we were watching in-the-stadium what the rest of the country was watching on the NBC Televison Network ! Patti and I were having our cake and eating our cake too ! Sucha-deal-you-wouldn't-believe ! I can't add too much more about the experience of sitting in Cowboys Stadium yesterday and watching the game. To fully understand what I am trying to express you MUST experience it yourself ! TO REPEAT MYSELF : IF you are a fan of the ‘NFL’ .. you owe-it-to-yourself to .. at least once in this lifetime .. come to Dallas / Arlington, Texas, and experience a game at Cowboys Stadium ! Much MUCH Joy .. Patti and Cap ..